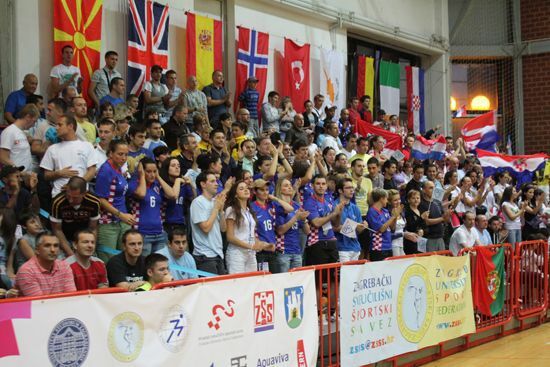 Zagreb, Croatia hosted the 7th European Universities futsal championship between July 18 and 25. 25 university teams from 23 countries, with over 400 participants took part in the championship. This year’s championship was special also because this it included the women’s tournament for the very first time. The championship was organised by the University of Zagreb, Croatian University Sports Federation and the University of Zagreb Sport Federation. 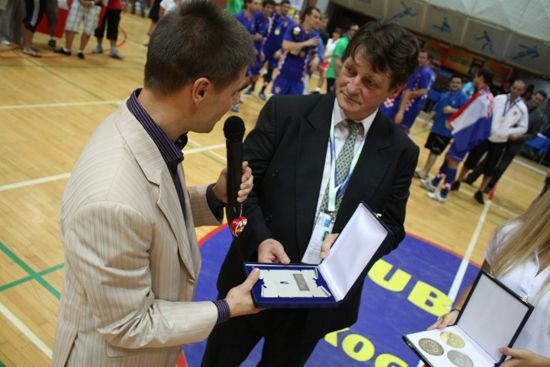 The organisers, an astonishing group of 101 volunteers, in cooperation with referees and EUSA representatives and technical delegates, made sure the event was organised as smoothly as possible, and were awarded by record participation. 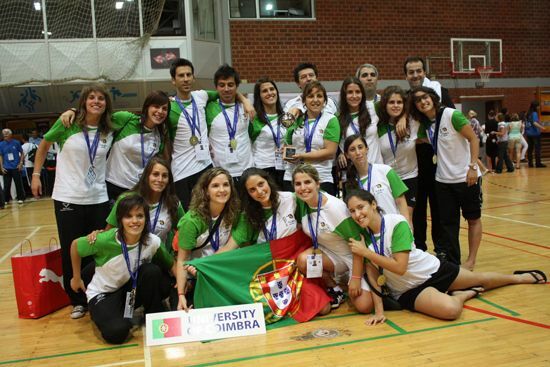 In the final matches, watched by the full sports hall, the University of Coimbra (POR) beat University of Artois (FRA) 4:2 in women’s finals, and in the men’s finals the host team of the University of Zagreb won against the University of Minho (POR) 6:2. At the closing ceremony, which followed after the finals, representatives of the Organising Committee, the University of Zagreb and EUSA representatives awarded the medals to the top three teams in each category. In addition, the best scorer, best goalkeeper, best player and the fair play award were attributed in each category. After the closing speeches by prof. dr. Tonko Ćurko, Vice-rector of the University of Zagreb, Mr Mladen Sedar, Vice-President of the Organising Committee EUC Futsal 2010, Mr Olaf Tabor, EUSA EC Member, the EUSA flag was passed to the organiser’s of next year’s event, which will be held in Tampere, Finland. For more information, please see http://www.futsal2010.info.